The steps required to become a real estate agent will vary from State to State and Province to Province. The first requirement is always of course is to complete the required courses. 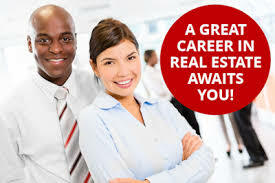 To become a real estate agent is usually a simple process but not always an easy process. It does take dedication to learning the course material and then of course passing whatever examination process is required. In some States and Provinces the courses can be take online however in general the examination will be in person. Once you have passed the required examinations…its then time to find a Brokerage that “fits” with what YOU are looking for in your new Real Estate Career! FOR MORE INFORMATION ABOUT THE REGISTRATION PROCESS IN YOUR STATE OR PROVINCE PLEASE SEE LINKS BELOW.